Shopping in Treorchy has always been more than just replenishing the cupboards. For nearly a century it has also been a place to meet friends, catch up on local news and put the world to rights! Each shop has a unique personality, troves of interesting items to browse through and friendly staff who are pleased to chat with, as well as serve, their customers. Many stores also offer loyalty schemes and regular voucher promotions. If you’re looking for a place to relax – or grab a bite to eat – there are traditional Italian cafes, tea rooms, modern bistros, fish and chip bars and take-aways. 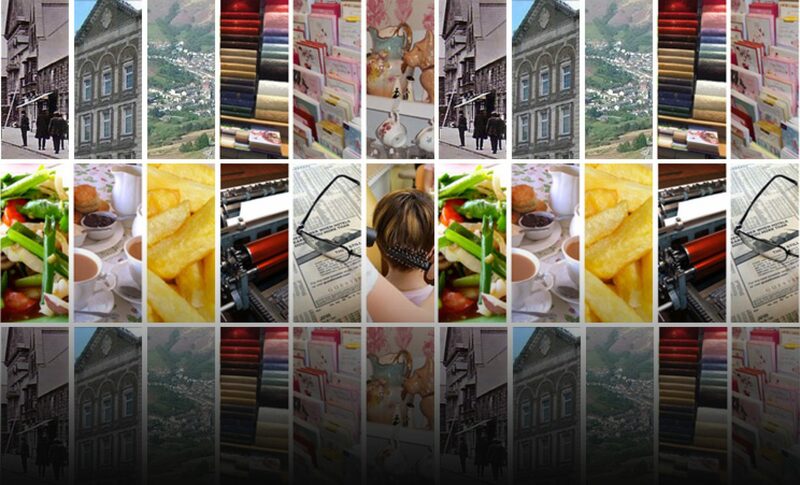 If you’re after advice on insurance, mortgages, travel, health, beauty or printing, Treorchy’s range of professional services covers all the bases. To satisfy your cultural apetite, the beautiful Parc and Dare Hall has a full programme of events including theatre productions, cinema and music to suit all tastes; from gypsy jazz to chart pop. So next time you’re passing through Treorchy high street, why not take the time to stop and experience the spirit of traditional community shopping.